Providing materials handling solutions using our unique Altrac system of jibs, gantries, monorails and mobile cranes. Providing security for those who take their work to great heights. 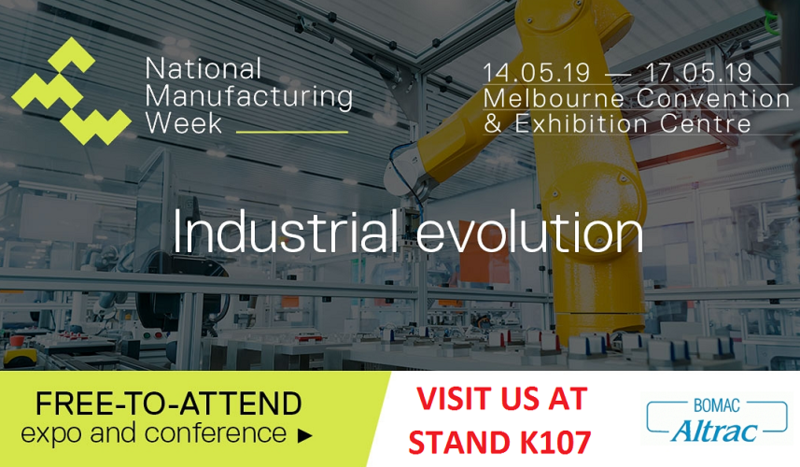 Having a workplace that can maximise efficiency and increase productivity is key in todays competitive manufacturing industry. The quality modular rail system that makes the workplace better. Learn about our Australian made jibs, gantries, monorails, mobitrac and the leading international brands of hoists and vacuum lifters we offer. We provide outstanding safety solutions for organisations and individuals working at heights. Please register your product warranty to receive one year warranty support and access to technical support information. Be the hero of your workplace. Discover how an Altrac system can improve safety, workflow, productivity at your manufacturing facility. 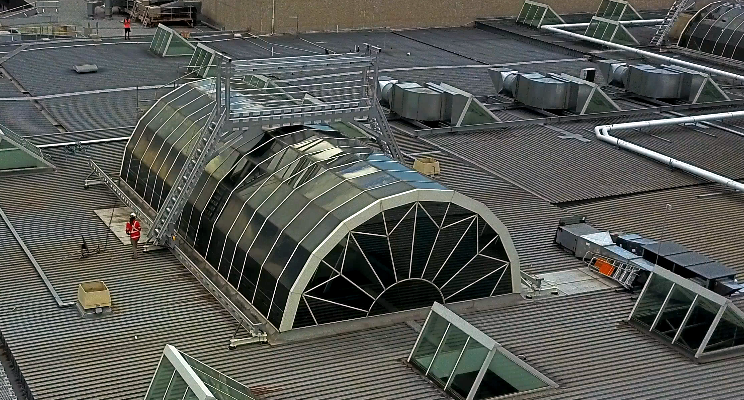 A cylindrical rooftop atrium provided a unique challenge to offer ongoing access to maintain the glass panels without ongoing costs or unnecessary safety risks. This rooftop walkway ticked all the boxes.